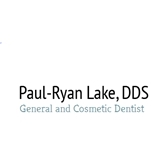 Paul-Ryan Lake DDS (San Francisco) - Book Appointment Online! We offer a different approach. Contrary to most offices, there’s no office manager, no treatment coordinator, no hierarchy. From doctor to assistant, every team member will assist you in explaining treatment, scheduling appointments, and arranging finances. Every member including the doctors are easily accessible. Having trained at UC Berkeley and Columbia University, Dr Lake is familiar with the most modern and effective techniques for addressing all of your dental needs. Great office, kind & professional team. Excellent experience!